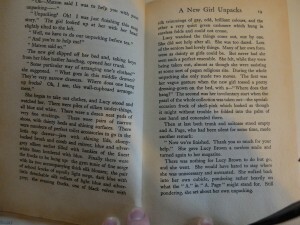 When I was at school, I read a great many school stories, from the 1920s up to the 1950s. Since I had no friends and barely spoke to anyone, when I did, my language was peppered with things like “smashing” and “super!”. 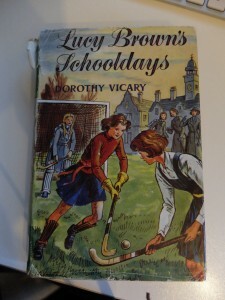 (The one fact probably is connected to the other) I really wanted one of those gymslips they wore, with a voluminous pleated skirt, apron front and, most importantly in my view, a coloured sash denoting your house. This kind of thing. The reality of hockey is standing freezing in the snow and hoping nobody passes you the ball. 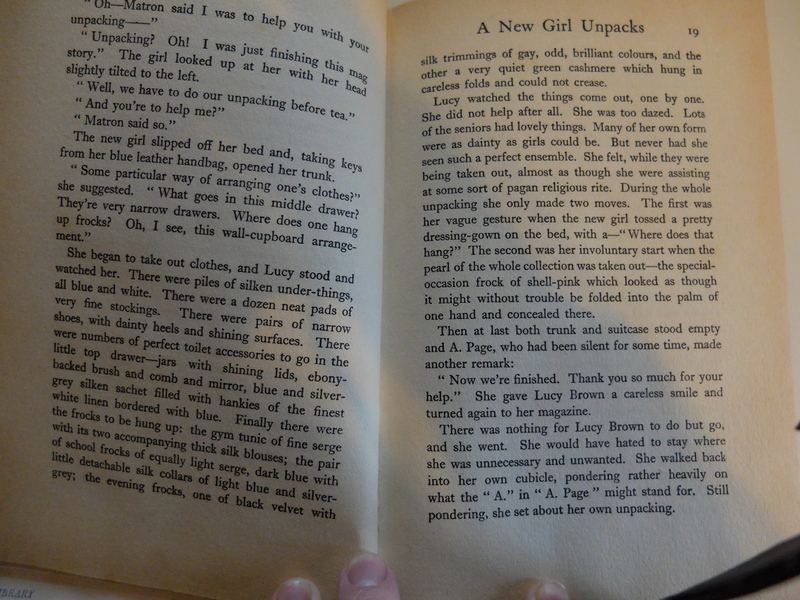 I love the subtext here, the kind of passionate longing apparently prevalent in girls’ boarding schools. The fact that I went to a state secondary school in the late 1980s was the only barrier to my daydreams. In fact I did actually buy a gymslip of sorts from Hobbs a while ago. I wear it to work and I do sometimes pretend I’m bullying off in the final critical match of the season with St Dunstan’s while I’m on the way to the toilet. Wikipedia tells me that this attire was in fact chosen because it was considered too rude for young ladies to play sports wearing shorts, and the pleated apron fronts and ample skirts were to conceal the physiques of young women. I choose to ignore this annoying and inconvenient truth! Whilst on holiday in New York, I bought a few things from Old Navy, of all places: a pinny, skirt, trousers and a blue polo shirt. As the originals are khaki (no grey available) and they are made from cotton twill, I dyed them with Dylon and they came out almost black, not regulation grey. I figured it’d fade eventually and brazened it out. However, the zip fastening for the pinny is at the back, meaning that she can’t undo it herself and this is a problem for PE. 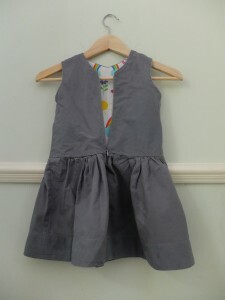 Finding a pattern for a front fastening pinafore is quite a challenge, and I’m stingy, so I hacked the Jump Rope dress. I left off the sleeves, lowered the front, left off the collar and added a front zip fastening. 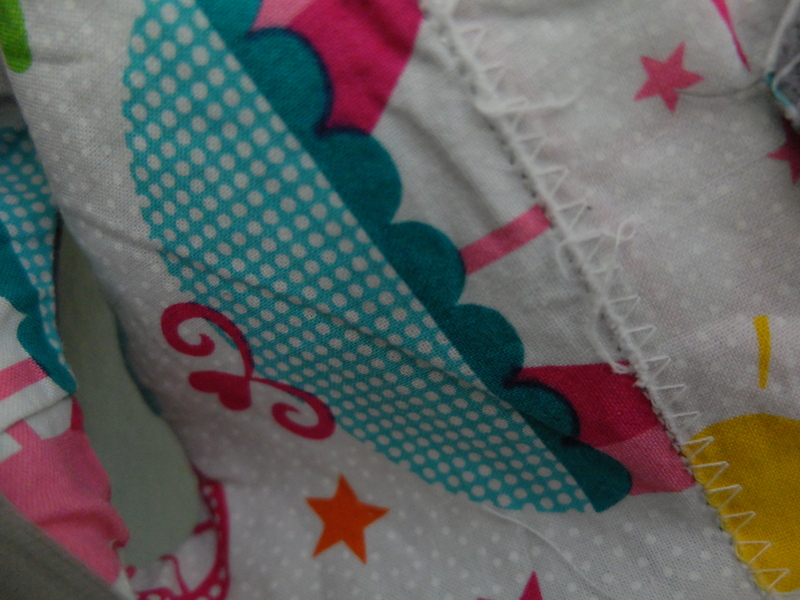 I guess I could have finished it with bias binding but decided on a fun lining. I used a fat quarter of quilting cotton that had unicorns on it. The fabric itself is Kona cotton in grey and both were from Plush Addict. What’s that on the inside??? 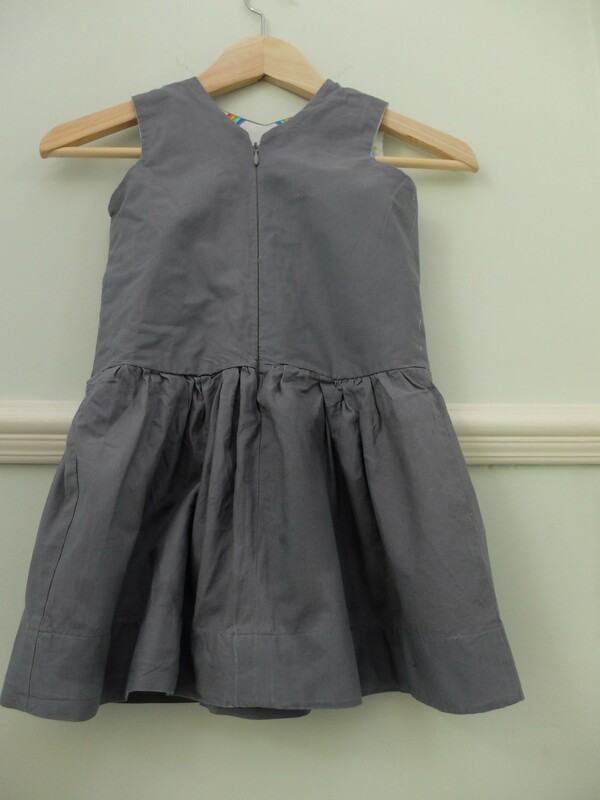 Because I decided this was a wearable muslin, I did not spend as long as I should have ensuring that the zip lined up, or ensuring that the lining was all cut out in the same direction. I had to piece together one of the panels from careless offcuts. You may also notice that the zip is not as perfectly aligned as it could be. I kept the gathered skirt from the original pattern. I am not completely sure about this and wonder whether pleating would be more sensible – but then I’d have to press pleats and I don’t want to do that. It was a success. 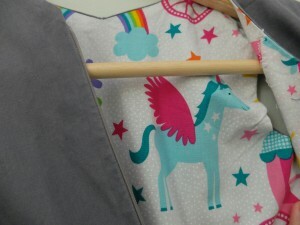 She can undo the zipper easily, and of course when she gets changed for PE everyone is treated to the sight of unicorns. Technically an alicorn, I guess.